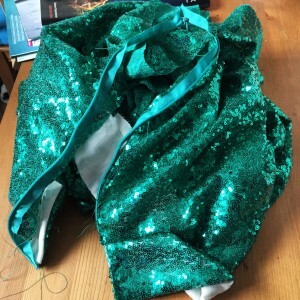 SEQUINS | More blue fabric? 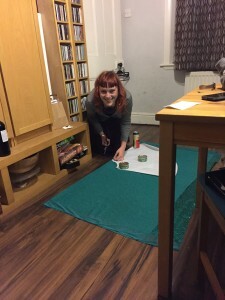 Remember two weeks ago when I wrote about having a dress to make for my birthday party? Well that party was last night, and I might just have made the deadline…..
A friend decided recently that, rather than having a party to celebrate entering her 30s, she was going to pre-empt it all and instead have a farewell to her 20s. As you might expect (or maybe you don’t?) the theme was all things F Scott Fitzgerald, with 20s style the lynchpin on which the evening was built. 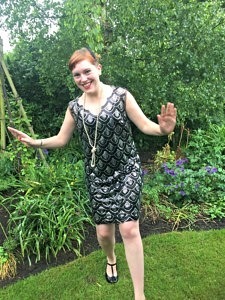 Looking online at flapper dresses, I saw a couple of things that I liked the look of, but quickly found myself thinking “I could make that”. One quick trip to the rag market and several thousand dead sequins later, I had done just that. 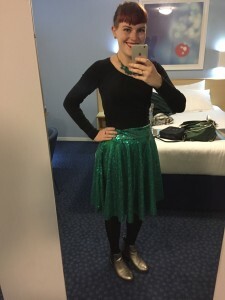 Remember that time I went to London and got enabled into buying several metres of sequin fabric? I read Lauren’s incredibly helpful blog about sewing with sequins. And promptly forgot everything I read, apart from the bit about using a teeny needle. So whilst I didn’t suffer a broken needle at any point, I did have to endure a LOT of snapping threads. Cue frustrated face.